On day 12 we went to the Painted Desert and the Petrified Forest National Park, in Northeastern Arizona. 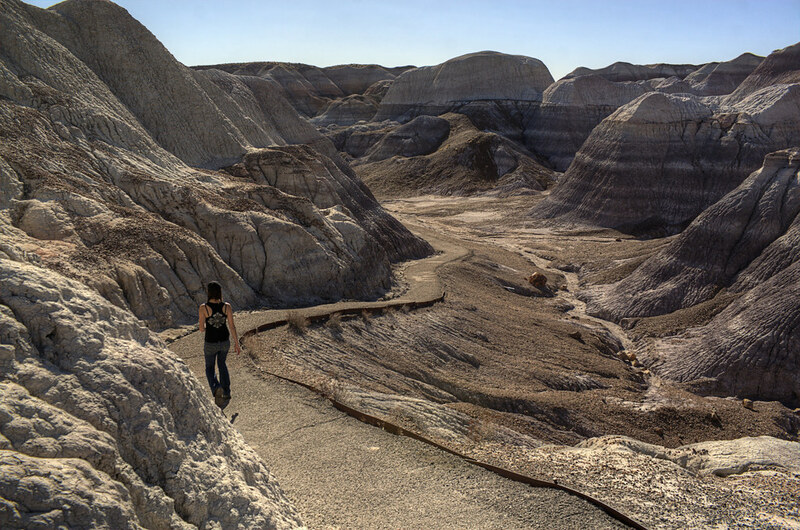 Like every park we visited, the Petrified Forest ended up being better than we imagined. The best feature was the lack of crowds. After viewing the Painted Desert from the rim and looking at numerous petroglyphs, we hiked alone from the top of Blue Mesa on a winding trail while looking for pieces of petrified wood scattered near the trail. This ended up being one of our favorite national park stops.